Tyre review data from 10 tyre reviews averaging 76% over 29,600 miles driven. Sorry, we don't currently have any questions and answers for the Sailun Atrezzo Elite. Why not submit a question to our tyre experts using the form below! 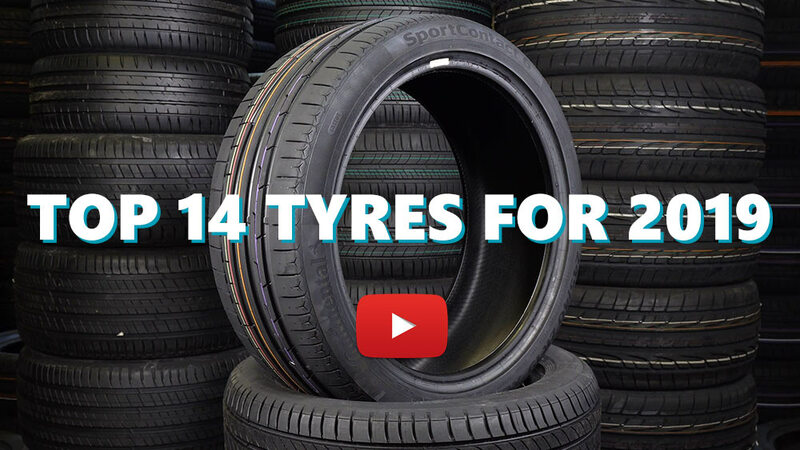 Available in 30 tyre sizes - View all. Just had a complete set of Sailum Atrezzo Elite tyres fitted to my Skoda Fabia. Have driven them on a mixture of twisty country roads and dual carriageway in bot the wet and dry. Very impressed with the road feel of these budget priced tyres. They feel very positive in grip yet give good cushioning on our potholed roads. My previous tyres were Michelin and considerably higher cost, yet the ride comfort was a lot less. No wear data as yet. If you are a conservative driver of a car that is used for commuting, driving into town and the occasional long trip, I consider these tyres a good and very economic choice. Have you driven on the Sailun Atrezzo Elite tyre? Please help millions of other drivers make an informed tyre choice and pick the correct tyres for their car by submitting your review of the Atrezzo Elite. Found these tyres priced really well at £34 a tyre and had a GRADE B wet grip rating. Decided to take a chance and replace my worn Yokohama Sdrives (best tyres I've ever had I'd say). They were no Yokohamas obviously but was truely amazed by the grip these had and how similar they were. I would say they were 90% as good but at a fraction of the cost... These were £34 and Yokos were £120 per tyre. I had these tyres on a Toyota MR2 which is rear wheel drive, known to be scary and very tail happy but had no problems at all with these and alot of it was spirited/track driving. Were very impressive in the rain also. Even when I was messing about at times, doing a little slide or wheel spin, it just gripped unless I really planted it. Also very quiet and comfortable. They lasted around 8000miles which is not to bad seeing as they were used pretty hard and most of it was spirited driving. I did notice that the tyre wear increased massivly after 7000miles or so and went completely bold very quick shortly after that. So overall, amazing grip and handling. Very well priced and would definatly recommend. Actually thinking of getting these again. Tires are quite noisy and are difficult to balance. Also, if the car sits for a few days the tires develop a flat spot that does dissappear but is quite annoying. Quite wallowy and vague. Under hard braking squeal embarrasingly. Wear is worse than I would have expected. In just 5000 km (3100 mi) the tires have as much tread left as my other car with the same size Hankook Kinergy Eco (K425) tires that have over 10 000 km (6200 mi) on them. I expect that the Sailuns will last for one more season. Bought them last spring(2016).....unusable after (just!!) 14.000KM(~9000 miles I suppose). At first(~7000KM) they were fine,dry grip good,wet grip OK,handling OK,kind of noisy but I wasn't very bothered by that but after 8.000KM I started to notice the wearing on the inside(not noticeable at all on the outside)especially on the front tyres. I thought there was something wrong with the car(did ''the test''>car OK).Long story short I had to change them after 14.000KM and NO I'm didn't ''abuse them'',some of the roads weren't that good but 14.000KM and almost no tread,unbelievable. PS.I did ''the car test'' twice at 8.000Km and then after I changed the chinese tyres and nothing,just poor quality rubber. What's interesting is that the wear ''accelerated'' a lot after 10.000Km in my case. First full set of new tyres since the 1980's (which were remoulds) as I always change my cars before the tyres need replacing. Original standard were Continental Premium Contact 2's which are over £100 a corner to replace. Did some research on line and YouTube and thought I'd give the Sailun Atrezzo Elite a try at £46 a corner. They have a good write up and are popular in America. First thing I immediately noticed was how quieter the Sailun's are. The car also feels solid on the road. The tyres are asymmetrical, look nice and have good grip. I never drive to the limit of the tyre so I expect a long life out of them. Funnily enough the Fuel, Wet Grip and Noise ratings are identical to the Continentals but are under half the price. No problems on the motorway either. I was a bit sceptical at first about buying a tyre that isn't one of the big names (yet) but I must admit I've been very pleased with them and the price is superb. I would buy these again without hesitation. Too early to give a wear review but if I can get 20,000 miles out of them I would be very happy. I will rotate from front to back every 12 months to even the wear rate. £383 cheaper than the Conti's so basically I could have 3 sets of Sailun's for the price of one set of Continentals and still have change. It's a no brainer. Had two Atrezzo Elite tyres fitted to the back wheels of my Renault Scenic III 1.6vvt at the beginning of November 2016. Driven around 2000 miles on a mixture of roads in various weather conditions that we get in winter in North West England. No experience of them in snow but have driven in slushy hail stones and on icy roads. Very impressed with them! Quiet tyre on all road surfaces and nicely compliant. No noticeable difference in grip to the two Conti Premium 5's they replaced. Much quieter on the motorway where the Conti's had a tendancy to drone. Half the price of the Conti's as well. Can't comment on wear levels yet. I'll need two new fronts in around 5000 miles and will be purchasing the Atrezzo Elites again.